VORT NRG EC models are equipped with potentiometers by way of which the speed of the two fans can be independently controlled. Cabinet frame fabricated from rounded aluminium profiles; moulded nylon spacers incorporated to provide thermal break; sandwich panels with 10/10 gauge skins (inner: zinc-coated steel; outer: pre-lacquered steel (RAL 7035) with protective film); high density rock wool insulation layer (M0), thickness 25 mm in models 600, 800, 1500, 2000 and 2500, thickness 50 mm in models 3000, 4500, 6000 and 8000. 2-speed, ball bearing external rotor EC motors (speeds independently adjustable at installation) directly coupled to backward curved centrifugal impellers, capable of ensuring air flow rates up to 8000 m3/h in conjunction with low noise levels. 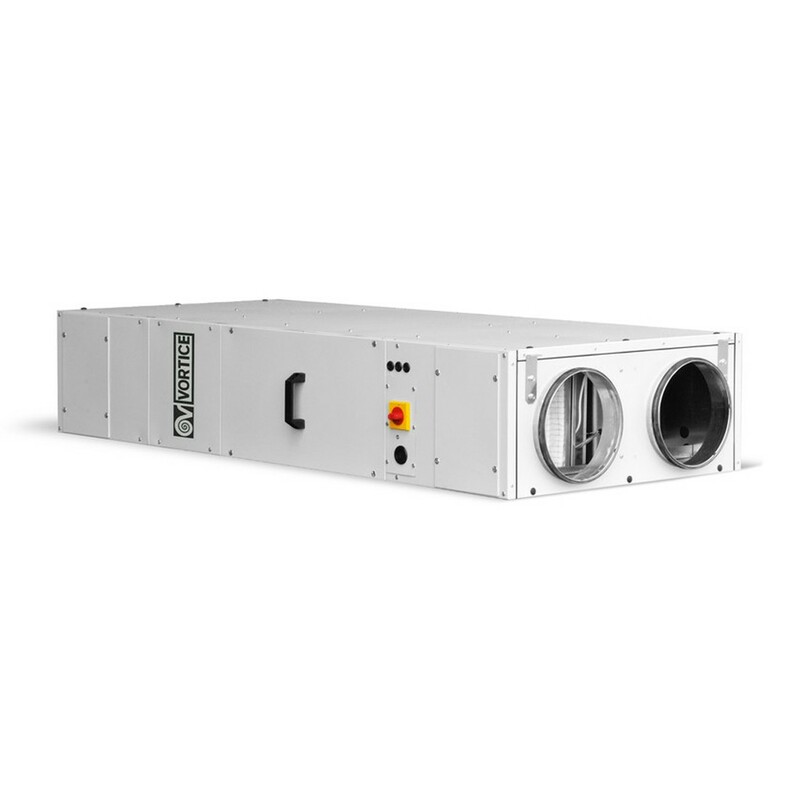 Air-to air, aluminium made, counter-flow heat exchanger, granting Eurovent-certified efficiency better than 90% based on European standard EN 308. 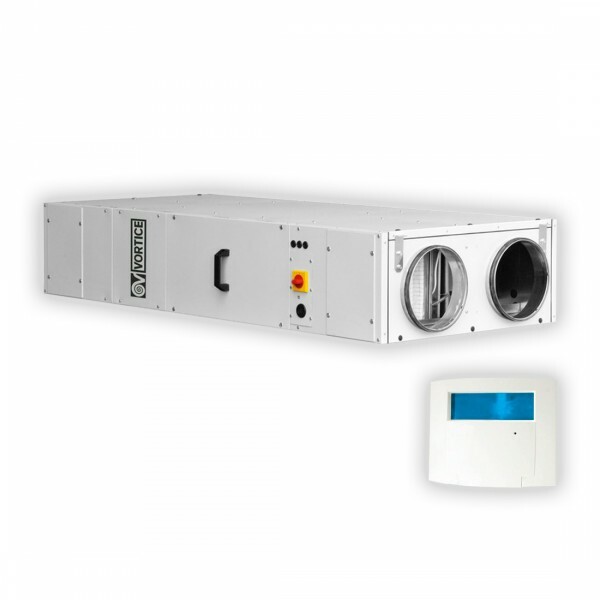 The heat exchange efficiency of the new VORT NRG EC appliances meets the most stringent requirements of EU regulation 1253/2014, Tier 2, to be implemented January 2018.
flow passage (excluding models 8000). 100% internal by-pass, automatically operated. fresh air supply duct, both installed upstream of internal components to guarantee their protection, mounted on slide ways (for ease of removal), and fitted with lip seals to ensure a completely airtight fit. Condition of filters constantly monitored by a differential pressure switch with automatic alert generated when maintenance or replacement is due.